The core of photography is storytelling. At its best, it touches the human soul with discourses that are both literal and poetic, revealing the emotions of its subject, while begging us to see more. 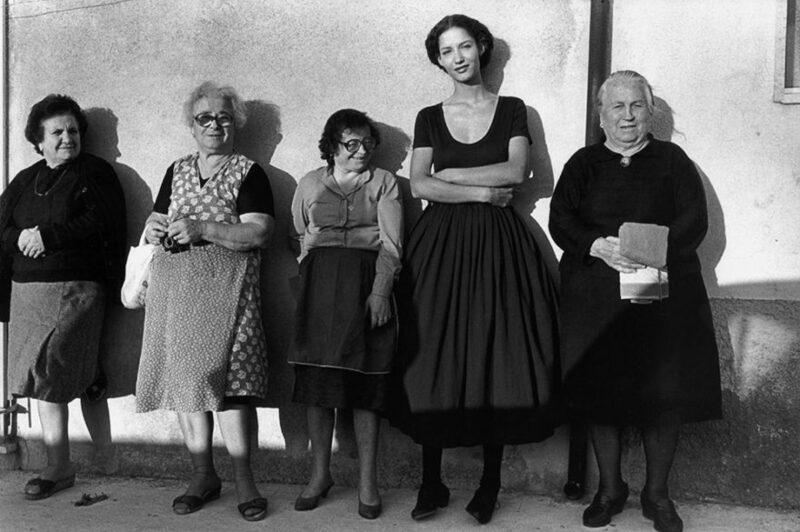 No one does this better than Ferdinando Scianna—whether his subject is the backstage life of the fashion world or street photography in his native Sicily. 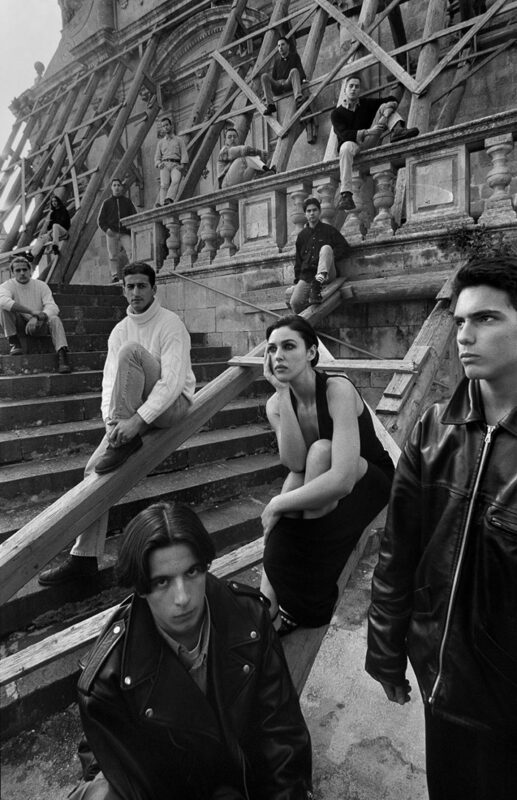 Born in Bagheria, a coastal town near Palermo, the Magnum photographer has always remained true to his roots. 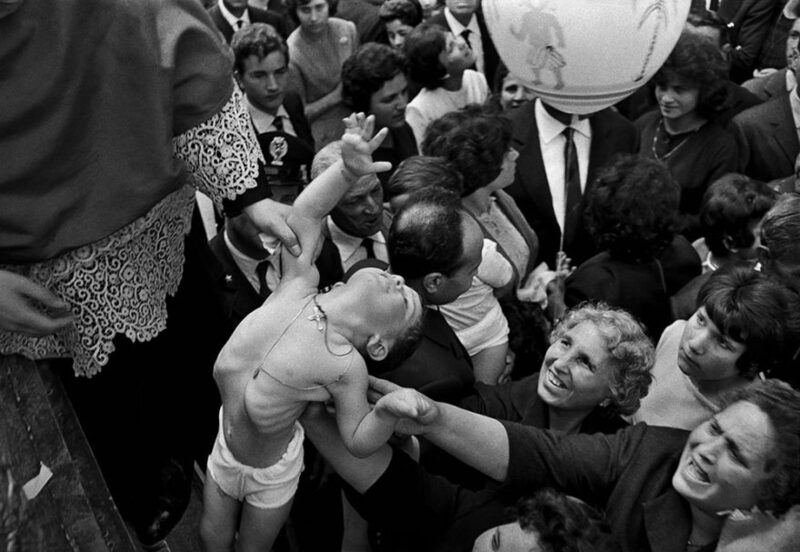 Indeed his first book, published in 1965, “Feste Religiose” in Sicilia, documented the life of local religious festivals that he’d grown up with and knew intimately. His parents, he explains, hoped he’d become a lawyer or an engineer. But he hoped to find a “way out,” and at university, where he studied literature, philosophy and art history, he stumbled on photography, and began taking pictures of traditional contadini life—a world he found “fascinating, upsetting, and pleasurable” all at the same time. 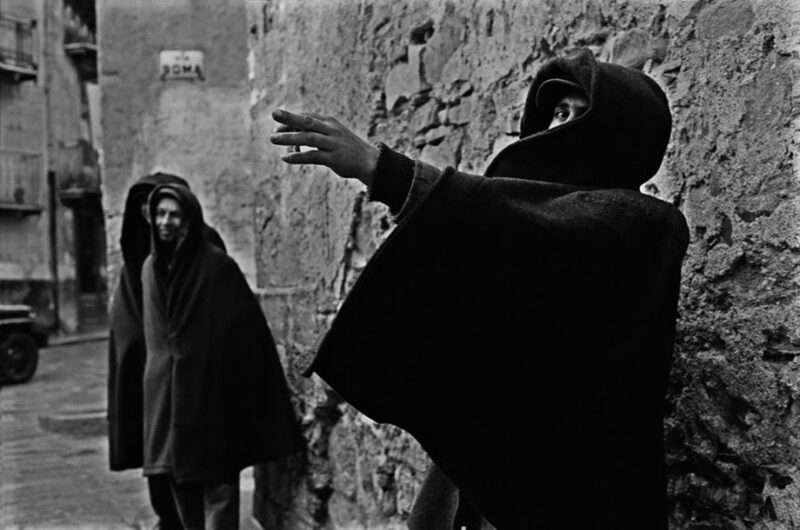 His empathy for his subjects, their misery and hopes, and the raw, natural beauty of Sicily lends an authenticity to Scianna’s early work that is at once both tender and profound. The world, Scianna sometimes says, is written in light, while his photography takes its form from the structure of shadows. But, Scianna also passionately feels that pictures must express truth. Looking at yourself in a mirror, he explains, is unsettling because it can reveal the truth. “It depends on if we want to see it or not.” And the power of photography is the way it can reflect both subjective and objective truths about the world. Accordingly, in both Scianna’s behind-the-scenes photography of the fashion world, and in his fashion campaign for Dolce & Gabbana—taken at the street markets in Sicily—the intimacy feels real, and true to life. There is poise, elegance, glamour, and excitement to be sure. But there is also the frantic anxiety of the moment. ITALY. Sicily. Province of Palermo. Village of Polizzi Generosa. ITALY. Sicily. Province of Catania. Trecatagni. Catholic festival of St. Alfio, St. Cirino and St. Filadelfo. 1963.